One of the reasons I get up every morning. Two years ago I was mugged. Wrong place wrong time, for me. Luckily I walked away intact. But there was a lingering pain in my lower back. 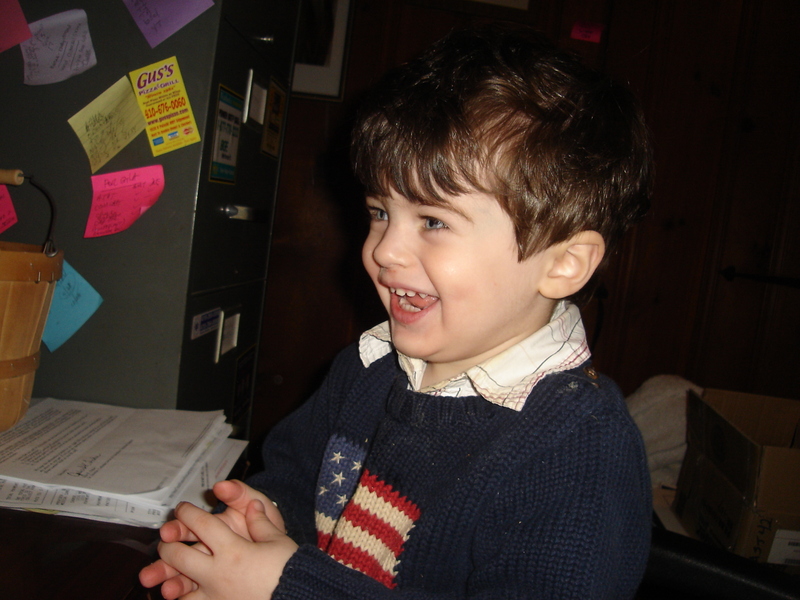 I went to my primary physician, a chiropractor and an acupuncturist. I went to a back specialist and took pain drugs and saw a Physical Therapist. I let the back specialist give me cortisone injections in my spine and then do a Radio-frequency burn on my spinal nerves. I wondered if I would ever be pain-free again. The short answer if you want to stop reading is no. I have not gone a day without back pain since that attack. But I have found a great reduction from the pain I feel with my handy-dandy T.E.N.S. unit. That’s Transcutaneous- Electrical- Nerve- Stimulation. 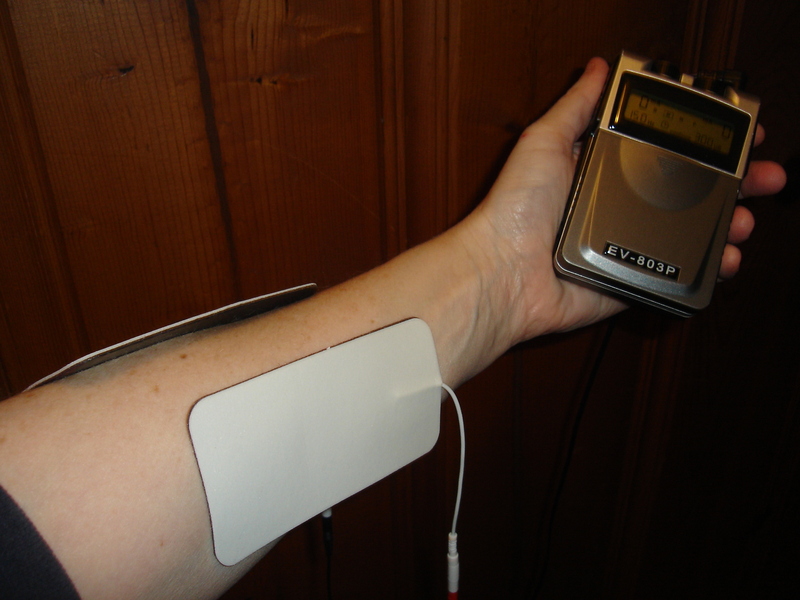 Transcutaneous electrical nerve stimulation (TENS or TeNS) is the application of electrical current through the skin for pain control. 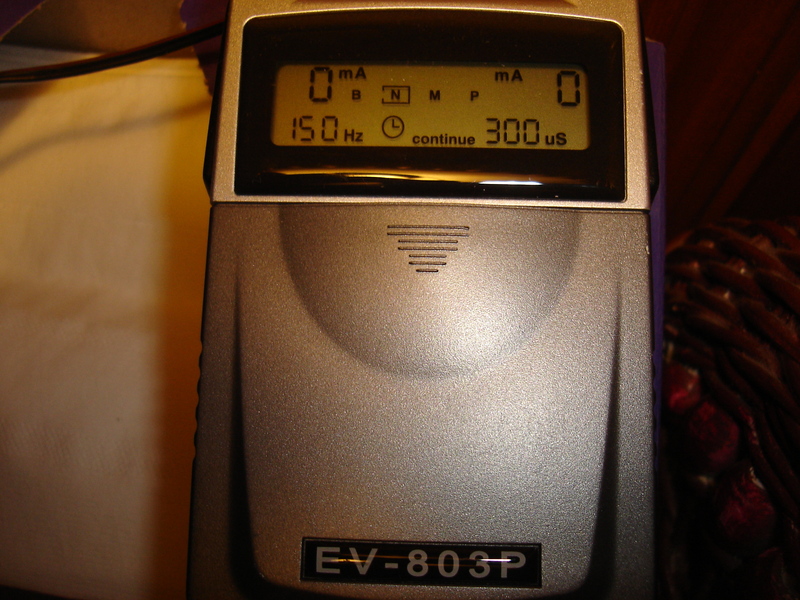 The unit is usually connected to the skin using two or more electrodes. If you have ever received physical therapy then you have most likely experienced a T.E.N.S. Treatment. Sticky pads or electrodes are put on the painful area and the technician has the patient relax while the electricity passes through the electrodes to the area interrupting nerve impulses. Short answer, again. pain reduction. If the pain is in your forearm from carpal tunnel or peripheral neuropathy, you would place the electrodes on the forearm. In the UK. T.E.N.S. 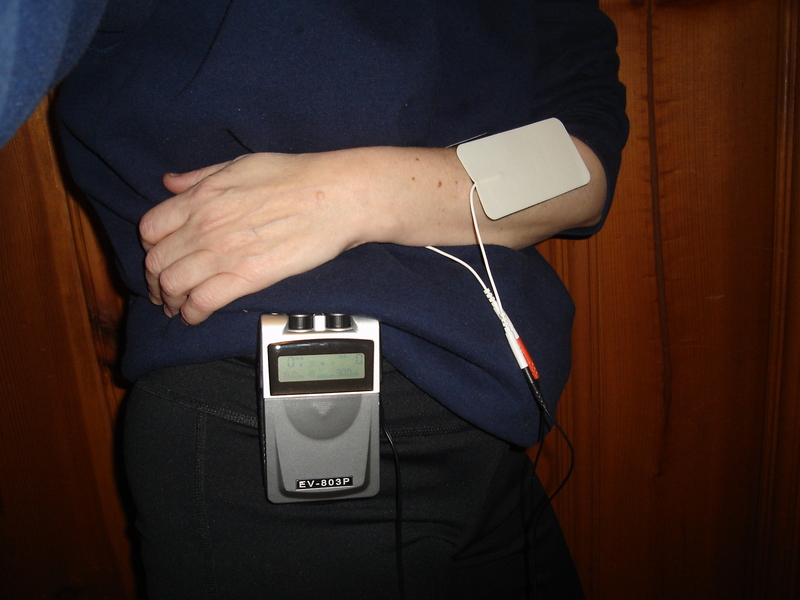 units that are portable by the patients are very common. In the United States it’s still considered “experimental” and sometimes (re:often) insurance doesn’t cover the cost of a T.E.N.S. unit. Luckily I knew about portable patient carried T.E.N.S. units so asked my back specialist for a prescription for one. The company that sold me my T.E.N.S. portable unit first quoted me $800! When I told them I couldn’t afford that they immediately dropped that to $350. Thinking I had a bargain I bought it. My son “The Chef, bought one from Amazon for under $50. You can use the T.E.N.S. throughout the day or night or until the battery runs out. Mine uses 3 double AA batteries that will last for 12 hours before I need to change them. Different units use different batteries. The more you use it the better the pain control. 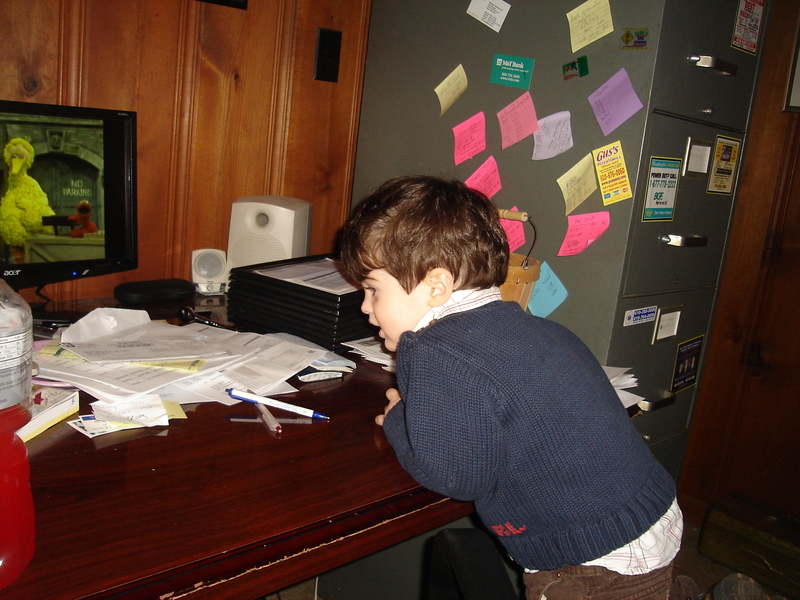 You keep it operating while going to work or running your everyday business. Unlike the Physical Therapist that runs it for 10 minutes and turns it off. Before I had my portable unit I wasn’t going to work! 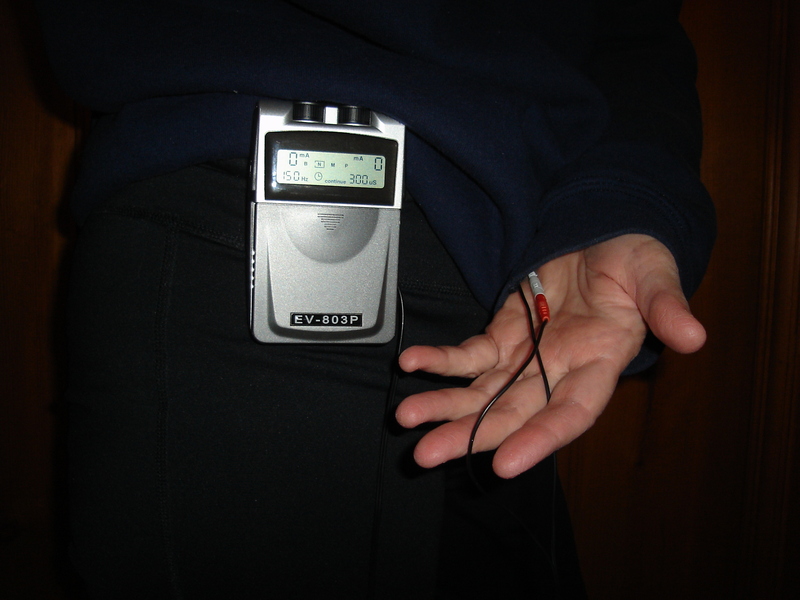 You hide the electrodes under you clothing so no one knows you are receiving treatment but you! After you have used the unit a while your tolerance will build up and you will be turning up the nerve stimulation impulses to levels that initially would have been uncomfortable. The area may even have some superficial numbness after a while. This is usually when the pain relief is at its most effective. I love it when the pain is well under control and the area is fairly numb! 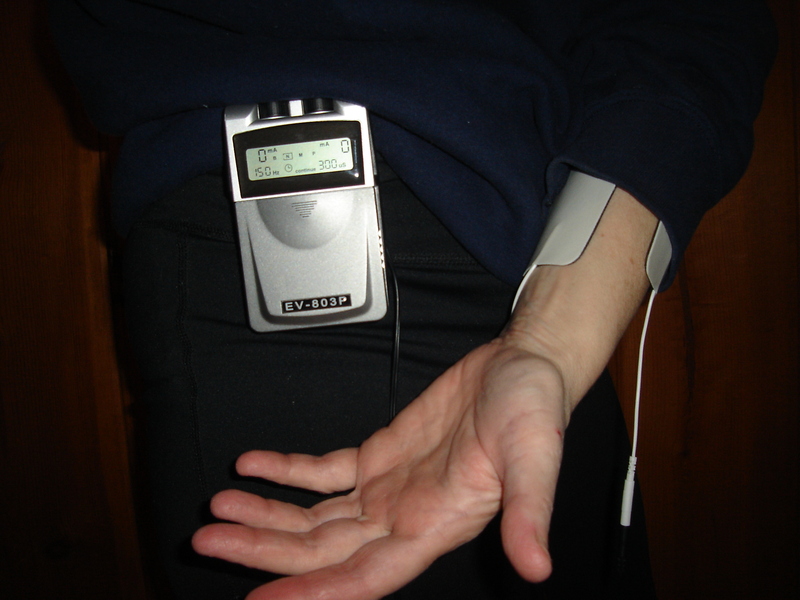 I am demonstrating how to hide the electrodes under clothing and the unit which is no bigger then a cell phone attached to your belt or waistband! I attach the unit to my waistband and tuck the cords or leads into my clothes and off to work I go! No more painful procedures or injections in my back or strong drugs to take which make me drowsy throughout the day. I have better things to do then sit at home in pain. In the pictures I have the electrodes on my arm. This is just to show you the parts of the units. When I am really using my T.E.N.S. the electrodes are on my lower back not on my arm! It’s let me live my life again! I have places to go… and people to see. Like This one here! This is not meant to be medical advice. You should always ask your own health care provider before starting any alternative medical treatment. If you have a medical implant such as a pace-maker a T.E.N.S. unit may be contraindicated so please seek medical advise before using one.